Saturday, June 17, 2006 11 am – 4 pm at the Walden Galleria Mall on Walden Avenue in Cheektowaga, New York. Sunday June 18, 2006 For every book sold that day, we will donate $10 to the Jacobs Neurological Institute. What would you look forward to the most at the Fathers Day Celebration? Sometimes we take for granted the influence our Fathers, who art in heaven, can have on others. Today I reconnected with another speaker at the annual NSA Convention. We initially met when I was midst of launching the "Our Fathers Who Art In Heaven" book last year. His first comment to me today was, "ever since we met I keep reflecting on the lessons I learned from my Father who passed away several years ago". Little did I ever think that sharing a story about my Father would have a ripple effect in the hearts and minds of others. Thank you Dad for the life lessons you taught me and how it has helped me to learn about other Fathers, who art in heaven. Tonight I got lost in the music of "Them JazzBeards" at the "Rockin at the Knox". They are one of my favorite jazz groups. Their music is a far cry from the music of a polish wedding. But, the intensity and passion of each musician in "Them JazzBeards" brings back memories. When I was a kid, live music at a polish wedding with a great saxophone player was the standard. The musicians would wear fancy shoes and big ties just like "Them JazzBeards". They would play their hearts out and their faces would be raining in sweat. My Father was a hard working man who made little time in his life for entertainment. But when it came to a polish wedding he would dance the night away. It would be great to see him dance one more night away...getting lost in the music. "Why do I where two wedding bands?" This is a question I raised at a company wide meeting for a client that asked me to come back to work with them. The answer to the question led me to share my Father's life lesson during that same meeting, "Leave things better than you found them". You never know how your words will touch someone. You will never know, unless you are willing to share your story. Thank you Dad. And, thank you "Gramp" Haggerty. I have never met you, but you have influenced my life. Back to Blogging About "Our Fathers Who Art In Heaven"
It has been a while...but I am back. There are times in life when we get pulled through a wind tunnel. But, it is always encouraging to see the light at the end of the tunnel. It is good to be back - thank you for your patience, continued support and words of encouragement. Remember the lesson my late Father taught me over and over again - "leave things better than you found them". Free chapter from the book. 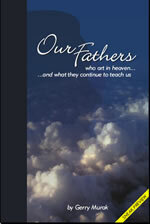 Enter your e-mail address here and we will send you a chapter of the book from Our Fathers Who Art In Heaven! With the success of Our Fathers Who Art In Heaven, we are looking for other stories and poems to complete new books in the "Who Art In Heaven" series. Submit your stories and poems today! Did somebody you love teach you an important lesson about leadership or life that you still use today? What advice did your loved one give you that you still treasure? Send your favorite stories and poems about your: Fathers Volume II, Mothers, Grandmothers, Grandfathers, Daughters, Sons, Children, Spouses, Sisters, Brothers, Aunts, Uncles, Relatives, Friends, Coworkers, Teachers, Students, Classmates, Alumni, Clergy, Firefighters, Police, Military, Soldiers, Marines, Army-Navy-Air Force Personnel, Reservists, National Guard, Heroes, Leaders, Managers, Coaches, Mentors, Speakers, Neighbors or other loved ones to: OFWAIHF Submissions PO Box 502 Getzville, NY 14068 Or E-mail your submissions to: [email protected] If you have somebody else in mind and you want to share their story with us we would always welcome your suggestions. FREE - Shipping & Handling ANYWHERE! 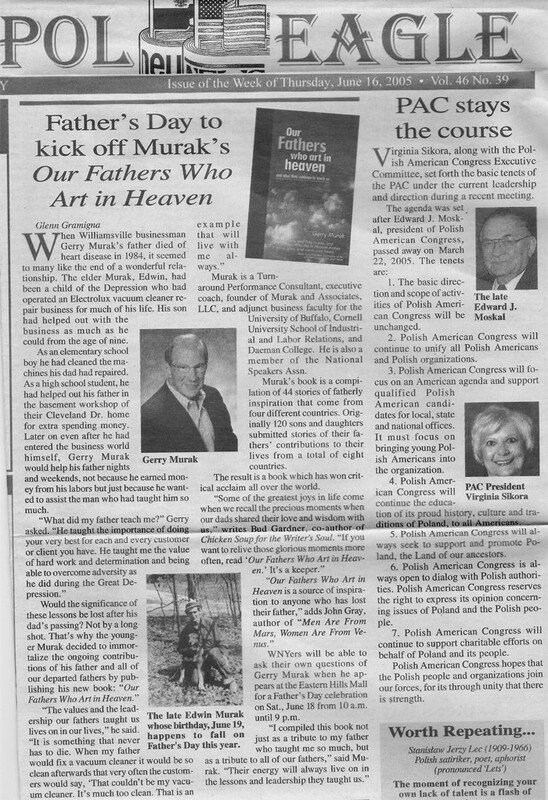 Book Reviews of "Our Fathers Who Art In Heaven"
Ra on Which are Your Three Most Important Words for Father's Day? Pat Miller on Ranked in the Top Ten of Fathers Day Books - "Our Fathers Who Art In Heaven"
Pat Miller on What Do You Do To Remember Your Father On Valentine's Day? Book Review for "Our Fathers Who Art In Heaven"
Excerpt from "Our Fathers Who Art In Heaven"